These diamond earrings can be a girl's best friend, or at least a best-loved item of jewelry! 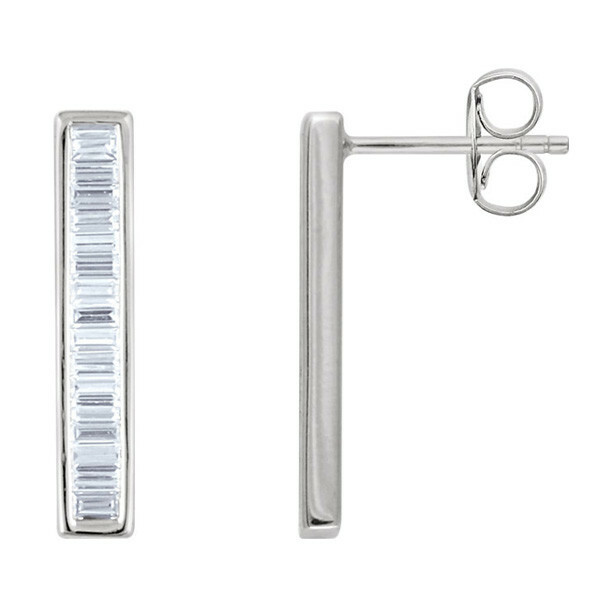 Crafted in 14kt white gold, they feature straight baguette diamonds in a vertical row. These earrings raise the bar on taste and trends, scoring high marks in both categories!